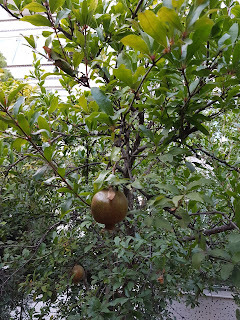 I grew up in a house surrounded not just with tropical flowers and plants but lots of fruit-bearing trees. So, imagine my delight when we arrived here in Turkey in the month of May and saw trees with summer fruits thriving. Our apartment complex has a big space for a garden compared with the rest in the area. 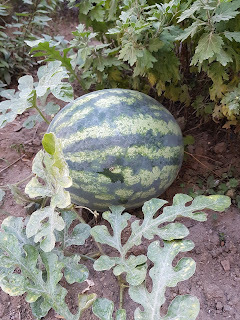 Look, a watermelon as big as a couple of golf balls! Hope it matures before autumn comes and the cold blankets this place. And another just a few inches away. These fruits are growing real fast, I swear. We just harvested this one 5 days ago, and boy, it was so big and sweet. We were able to share a slice to each neighbor in the building. 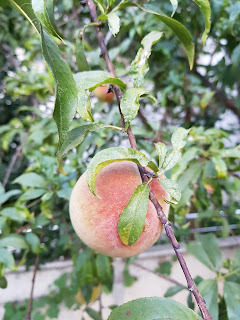 Here is a photo of our peach tree before we harvested them more than a week ago. Too bad I didn't witness the harvest time. My in-laws took all the fruits while I was in my nap. 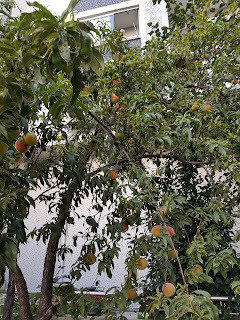 They are not the sweetest variety of peach but no complain here because this single tree alone gave 8 bags of fresh fruits to us. Hence, we delivered 2 bags to each neighbors and a few more extra to friends. 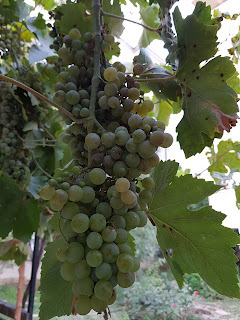 We have grapes here, too. And cherry and nectarine that are both spring fruits. 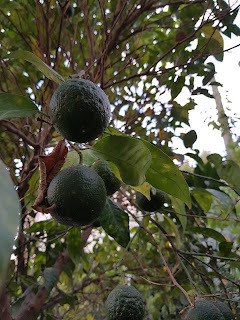 Here is the orange tree with fruits still green. They'll be orange by winter. Here is pomegranate that is very nutritious. 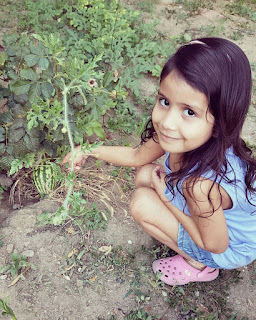 The fruits are big and already heavy. Beside this tree is a lemon tree that carries a lot of fruits as well. 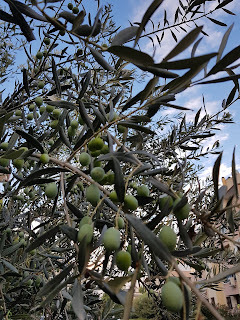 Have you seen olive fruits in a tree yet? Here they are. A few steps away from this olive tree is a pear tree as well. No photo though. Will share it in IG next time if I remember. Haha. We are planning to move out of this apartment and get a house with a garden by next year. Hopefully, in a place with a huge space for flowers and plants and most of all fruit-bearing trees. 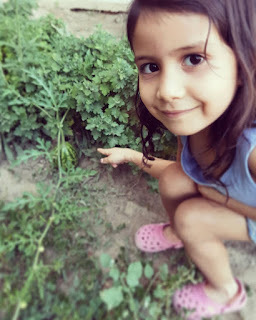 I want to have an apple tree, peach, cherry, orange, lemon, pear and maybe more if there is enough land to cover it. Question From A Reader: How to Spot a Fake Lacoste Bag?